The bond between humans and animals is undeniable. The presence of an animal with no expectations or motives helps provide comfort and relaxation. The non-judgmental animal also helps individuals who fear rejection, making that person more comfortable and potentially more willing to interact with others or engage in conversation. These interactions can stimulate a withdrawn individual, lift spirits and help aid in a time of healing. The Humane Society of Southern Arizona Comfort Dog Program is an extension of the Pet VIP Therapy & Visitation Program made up of volunteers who received additional training and certification to become part of the HSSA Comfort Dog Program. 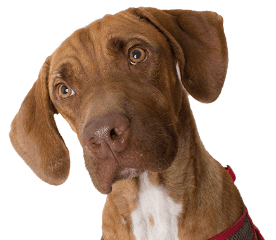 The HSSA Comfort Dog program provides comfort, support, encouragement and compassion using canine assisted support to those who have been affected by a crisis. Our goal is to bring comfort to individuals and families suffering pain or loss by promoting the human-animal bond. Alleviates depression, loneliness and low morale. Improves human immune system functioning. Releases beneficial hormones associated with health and feelings of well-being, such as beta endorphins and oxytocin, while simultaneously decreasing the stress hormone, cortisol. Decrease heart rate and blood pressure. Do you need our Comfort Dogs to visit you or your group? We are available to provide support to those in need throughout Southern Arizona. We are available by appointment and possibly on short notice. Calls will be answered and returned during normal business hours. If you are interest in scheduling an HSSA Comfort Dog visit or would like to learn more about our program please contact us.